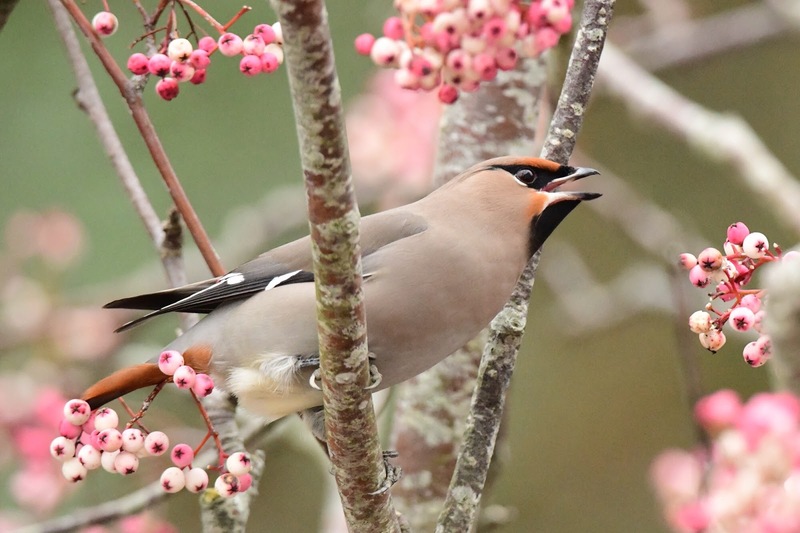 Dan Cole found a juvenile Waxwing in Truro late on Saturday 5th January. Luckily it was present the following day. Being the first for the year and generally very scarce in the west country this winter, it was duly ticked by a steady stream of locals. Its main source of food were the berries on the small pink sorbus tree next to Malpas House. It flew across the river occasionally towards Tesco's car park but always found its way back to the pink sorbus. 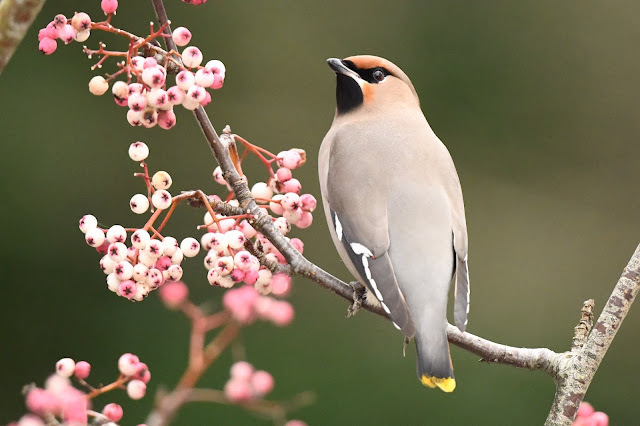 How Waxwings sniff out such a small haven in a large city defies logic, but they somehow do it. This bird is a juvenile and shows just one small red spot of "wax" on its secondaries and of course no yellow in the primaries. That aside, this is still a stunning bird and always attracts attention. Waxwing, Truro City Centre, January 2019.